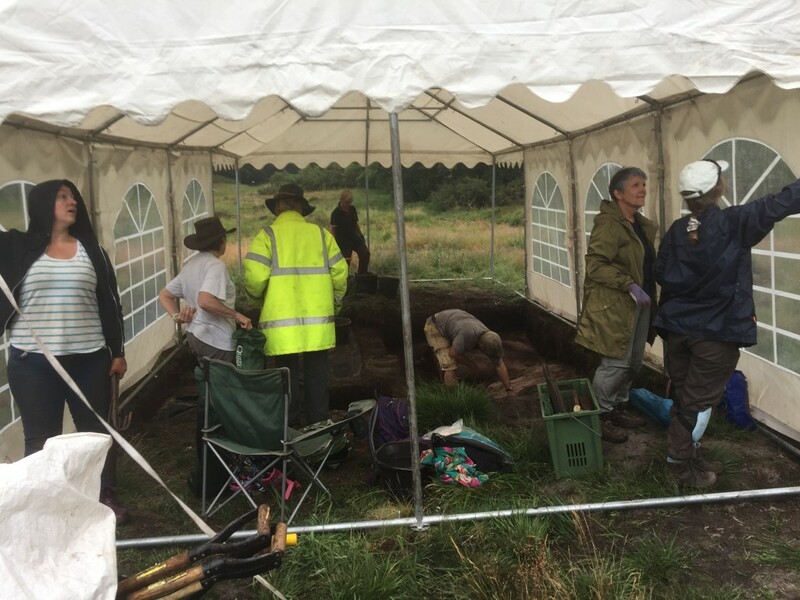 Despite the wet weather, the excavations on the Heath have got off to a flying start. 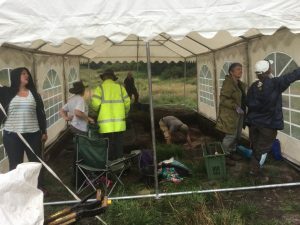 This years’ digs have begun with the re-excavating of Barrow 19. Last year this barrow produced one of the most exciting finds of the digs; a burial urn which is currently undergoing micro-excavation. The site, now fully water-proofed, has already been returned to the stage at which it was left last year, and the team are ready to pick up where they left off. Watch this space to find out what other treasures this barrow might hold.